Enes Kanter isn't shy about speaking out regarding his various beefs and issues in and beyond the league, and one among those beefs comes with all the NBA's biggest star. The Knicks big man exposed about why his opinion of James has soured recently and what he's doing to have under the King's skin. 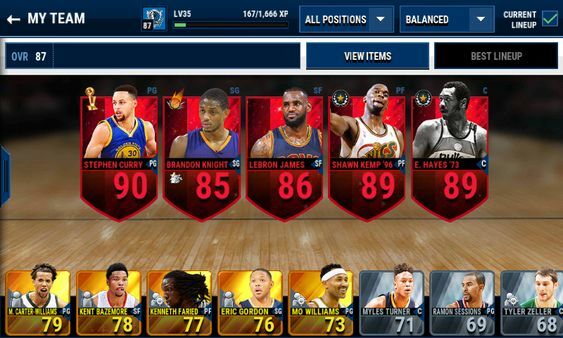 "With LeBron, it turned out weird because when I was with NBA Live Mobile Coins all the Thunder I remember watching games, highlights if the Cavs were blowing out of the Knicks at MSG. And then they started playing the 'bottle flip' game. I was like, 'This is disrespectful, man ... this really is messed up'," Kanter told ESPN. "And then that it was the first game I was with all the Knicks then he came and ahead of the game he stated we should've drafted Dennis Smith Jr. And not merely me, but many of our guys felt like it turned out disrespectful to Frank [Ntilikina] and we actually sat down with Frank and spoken with him and said, 'Hey you gotta improve for yourself, man.'" Kanter said James and Ntilikina were equalled against the other and said hello wasn't fair, so he trash talked James. "After the action I called him 'queen' or 'princess' or whatever," Kanter said. "But I would do anything to look at his focus away, distract him. People ask me, 'Does it work?' No no work. But I'm trying." Kanter should have the chance to continue the trash talk twice this upcoming season, if the Lakers and Knicks face off on Jan. 4 and March 17.